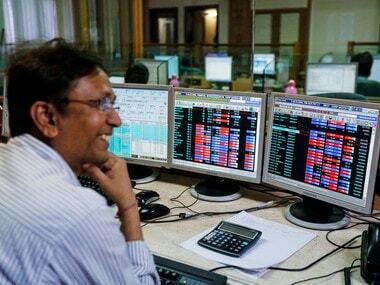 Mumbai: Pain for stocks intensified for the seventh day as the Sensex went below the key 26,000 mark to nearly one-month low by plunging 263 points on fears of a likely hit to corporate earnings due to currency recall and absence of any major trigger. This is its longest decline since March 2015. Global indices too remained weak in the wake of overnight losses on the Wall Street and worries over Italy's struggling banking sector, which depressed the Indian market. Market participants were restrained as they waited for outcome of the crucial two-day GST Council meet. The Nifty cracked below the 8,000-level and closed at its nearly one-month low, whose fall duration was the longest since June 2015. Starting lower, the Sensex hit a low of 25,940.14, but recovered marginally to close the day lower by 262.78 points, or 1 per cent, at 25,979.60. This is the lowest closing since November 24 when it had closed at 25,860.17. The gauge had lost 455.44 points in the previous six straight sessions. The NSE Nifty dropped 82.20 points, or 1.02 per cent, to close at 7,979.10 after hovering between 8,046.45 and 7,964.95. "Lack of domestic cues... is causing the Indian market to underperform. The GST Council meet will be on the market radar and also expensive consumer-oriented companies that are likely to be most impacted in third quarter results," said Vinod Nair, Head of Research, Geojit BNP Paribas Financial Services. Sentiment remained downbeat as the cash crunch continued to rankle investors, who were worried about its impact on corporate earnings for the December quarter. Persistent outflows by foreign funds hit it further, brokers said. The Federal Reserve's hawkish US interest rate forecast last week had led to foreign selling in emerging markets. According to Japanese financial services major Nomura, damage to India's growth could be bigger than RBI's estimate as there may be a sharper slowdown in the near term and cash shortage may extend to the first quarter of the next year. Investment in the domestic capital market through participatory notes (P-notes) plunged to its lowest level in nearly three years to Rs 1.79 lakh crore in November-end, which created more anxiety. Losses in the market were broad-based, with mid-cap and small-cap indices falling by 1.47 percent and 1.25 percent, respectively. 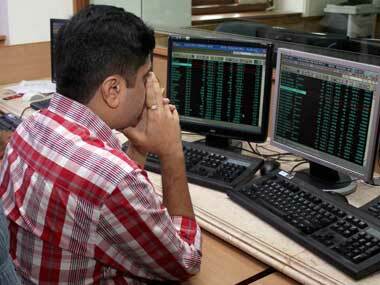 Adani Ports was the worst-hit, down 3.56 percent, followed by Tata Steel 3.09 percent. Other losers included ONGC, Bharti Airtel, Tata Steel, NTPC, L&T, Infosys and SBI. ITC gained the most by rising 0.51 per cent while Asian Paints rose 0.38 percent. 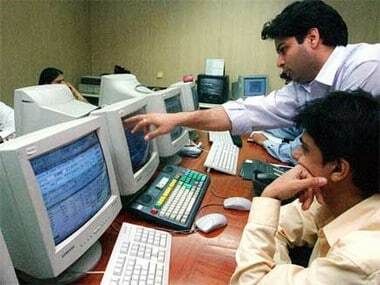 Foreign funds net sold shares worth Rs 1,178.08 crore yesterday, as per provisional data. The BSE metal index lost the most by falling 2.78 percent, followed by infrastructure 2.06 per cent, consumer durables 1.90 percent and power 1.67 percent. Japan's Nikkei weakened 0.09 percent while Hong Kong's Hang Seng shed 0.80 percent. Shanghai Composite, however, edged higher 0.07 percent. European markets were down in early trade, with London's FTSE falling 0.11 percent, Frankfurt 0.10 per cent and Paris 0.05 percent. Of the 30 scrips in the Sensex pack, 27 ended lower while only 3 closed higher. In percentage terms, the decline in mid and small caps was higher than Sensex's. The market breadth remained negative as 1,995 stocks ended lower, 655 advanced while 145 remained flat. 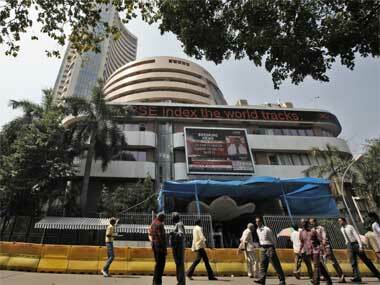 The total turnover on BSE went up to Rs 3,006.74 crore, from Rs 2,221.13 crore during the previous trading session.